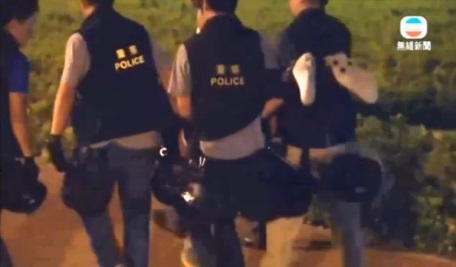 Police in Hong Kong are shown beating a prominent activist on the ground in a video leaked to media yesterday. Hundreds of police were sent to clear a tunnel filled with protesters, and reportedly used force to do so. The demonstrators, which began occupying Hong Kong more than two weeks ago, demand that Beijing allow their city state to hold democratic elections. But Beijing appears increasingly irate. Today the Communist Party published a front-page op-ed in the People’s Daily – as you can when you are the sole governing party of China – condemning the protests. Last week the Hong Kong government cancelled the talks they had agreed to hold with student protest leaders. So what can the protest movement hope to achieve? Bloomberg View writer on Asia Adam Minter has argued in his own opinion piece that it is time for the protesters to go home. Without a long-term strategy, he says they are „doomed to fail“ – which is what the Communist Party wrote in it’s op-ed. By taking up considerable space, he argues, they are making opponents of many citizens who could otherwise support them.